Supernatural forces can be a scary thing but there is one group of people who's job it is to take care of them, the Ghostbusters. These boys in tan make their way as fast as they can to any call to make sure that ghosts and specters are always caught before they can do any real damage. 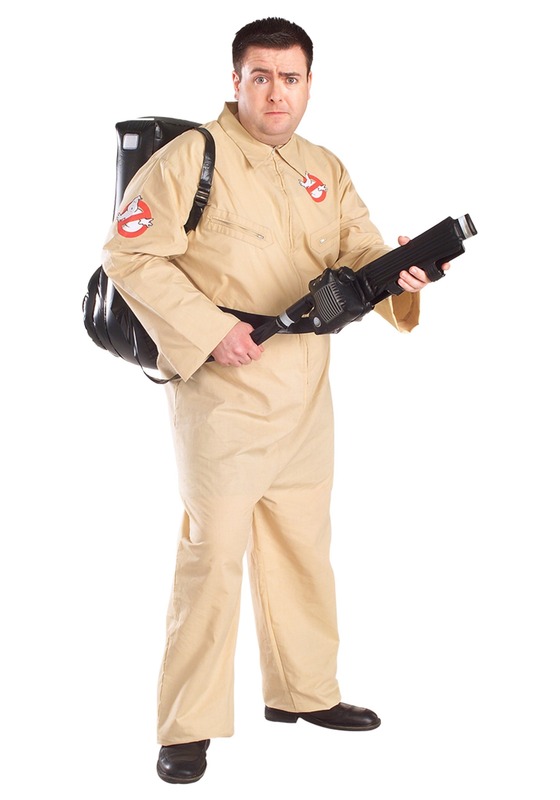 But not every job is easy as any Ghostbuster will tell you. Sometimes, not often, but sometimes you just might get slimed on the job. Now you can join the ranks of the classic Ghostbusters when you wear this costume. Just avoid the slimey ghosts! Great costume. Only had two issues. For being a plus size, it was a little tight of a fit to get on my 6 foot husband. Could have been longer in torso. The inflatable pack had a small leak but it held air for the time we needed it. The measurements aren't what they say they are. Don't be taller than 6' if you're ordering this. Very cheaply made on top of it. What a waste of $45.